Dyna Contracting provides design, remodeling and home building expertise to residential and commercial clients throughout the greater Seattle area. Established in 1999, Dyna initially specialized in kitchen and bath remodels. Today, we offer full-scale renovations and new custom construction. Our personalized service, attention to detail, and award winning designs set us apart. And our 55-person team offers clients a wealth of design and construction expertise unmatched by any other builder in the region. Dyna Metal, our custom fabrication shop allows us to design, engineer, and build railings, stairs, fireplace surrounds, furniture and other one-of-a-kind pieces tailored for particular architecture, spaces and personal styles. The shop also enables flexible and innovative use of wood, metal and other materials. As a Seattle Area Built Green Member, Dyna brings a strong environmental ethic to our projects. This includes advocating for energy efficient homes built with sustainable materials. We also address regional home construction issues and concerns as a member of the Master Builders Association of King and Snohomish Counties. Feel free to reach out to us, we would love to hear from you! 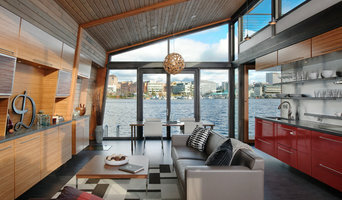 Seattle's Trusted Architect & Design Firm- Visit our Seattle studio! The Alhadeff Group is a residential construction company specializing in new construction, additions and large scale residential remodels. We provide our clients with experienced architects, knowledgeable engineers, and professional, reliable crafts-people that will help realize all of your project’s needs. Sam was born and raised on Mercer Island. He graduated from Mercer Island High School and after a spending a year abroad and a year in New York; Sam attended the University of Washington where he graduated with a Bachelor’s of Science degree in Construction Management. After graduating, Sam spent two years working for the International Division of Hensel Phelps Construction Company, one of the largest general contractors and construction managers operating worldwide. After his two years with the International Division, Sam returned to the United States as a lead office and field engineer for major projects with the State of California and Eli Lily and Company. With his roots in the Pacific Northwest, Sam returned to Seattle where he entered the world of residential construction as a Superintendent with the Lozier Group. Sam realized his lifelong entrepreneurial goal in 2006 and formed the Alhadeff Group, specializing in new construction, additions and large scale residential remodels. Seattle/Eastside Contemporary Design Studio Best of Houzz 2017! 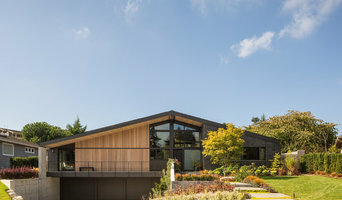 Seattle's Top Quality Architect & Design Firm - 6x Best of Houzz! Since 1986, AOME Architects has partnered with our clients to explore and create architecture unique to their needs and dreams. Every project is special. AOME responds with personalized service and individual designs tailored to each client. From concept to completion the work combines creativity, imagination, and attention to detail. They believe in an approach to design that respects both contemporary and historical contexts, while acknowledging the many modern developments that enhance comfort, livability and enjoyment. Good design is easy—it takes something more to go to the next level. AOME successfully strives for the best in design by applying an abiding sense of proportion, massing, scale, light and volume, along with rigorous attention to detail and process. Clients seeking boutique architectural services find AOME the best value. AOME also provides low cost feasibility studies during the property acquisition phase of projects. Countless owners have found our studies instrumental in selecting the right property, but more importantly, avoiding the wrong property for them. 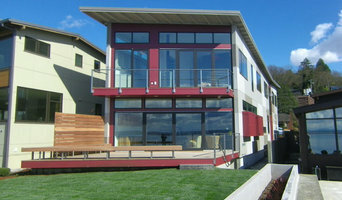 Redman Construction, Inc. has been serving the Greater Seattle area for over 32 years. Our team specializes in providing our clients the highest quality products and workmanship available. We strive to make our clients wishes and dreams a reality. Whether it is a new home, a remodel/restoration or addition, we manage the project with an attention to quality and detail. Individual projects vary from kitchen or bath remodels to luxury custom homes. Over the past 32 years, there isn't much we haven't done for our clients. Commitment, communication and empathy. We do not see ourselves in the construction trade, but in the customer service business. Our job is to make your specific project meets your style and your needs walking you through the process all the way. From custom homes to custom remodels, we can make your dreams a reality. Come and dream with us.